Lankester White Safaris create bespoke luxury safaris across Eastern and Southern Africa. Their primary target market being international, experienced travellers from the UK or non-domiciled ex-pats. 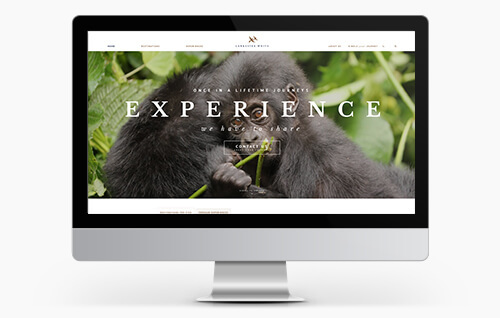 We were asked to create a new website for Lankester White Safaris that not only served as a professional online presence but also as a sales tool that would help generate leads. Our client also required assistance in creating a new logo and brand identity. 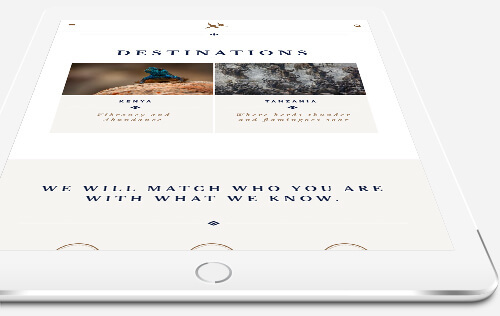 The new website had to be current, informative and usable, and importantly help distinguish Lankester White Safaris from their competitors. A truly beautiful website which appeals to the client's high-end customer-base. 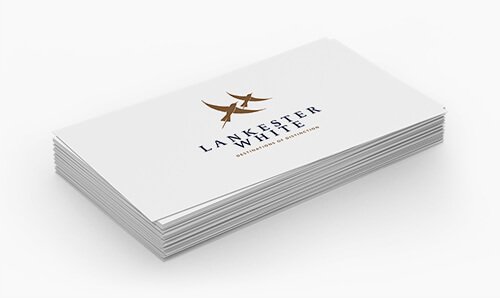 The stunning photography and elegant typography throughout have help Lankester White Safaris stand out from their competitors. 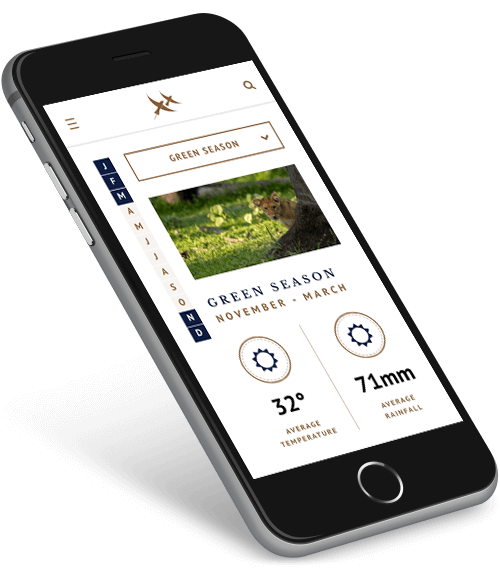 Clever features such as the seasons calendar on the destination page enhances the user experience. Whilst the combination of pixel-perfect scaling of content and high resolution images across all devices ensures a truly memorable experience. Integrated with WordPress and optimised for speed, our client is now effectively growing the site as this new business continues to strive. Like what we've done for lankester-white?